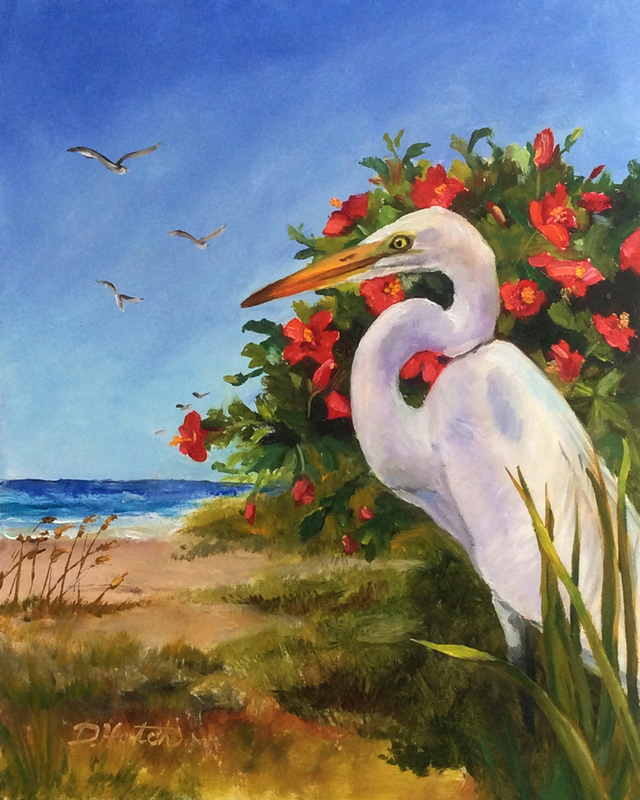 Today I'm painting an egret on the beach with a red hibiscus plant behind it to show off this beautiful white bird. 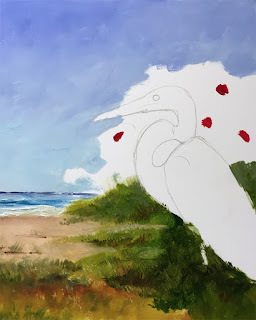 I start with the sky and beach. next we paint in the flowers, red will turn muddy if it mixes with green, so I paint the flowers first. then the leaves. Now for t he bird. I start by painting the eye and the shadows . Then add the rest of the bird's feathers. 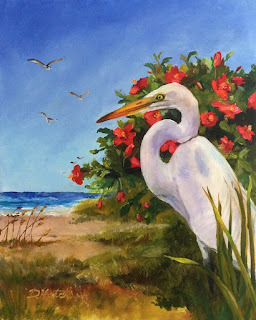 After letting the painting dry for a few days, I paint in the sea oats, flying birds and the grasses and reeds in front of the egret. 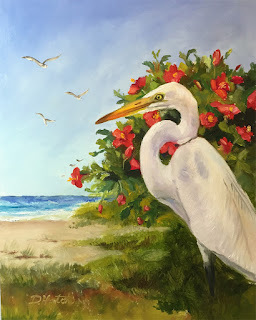 The sky needed a little more depth so I glazed utlramarine blue over the top area of the sky. Enjoy painting!